The lookout, located on trail #3 of The Yellow House Forest Reserve. The Yellow House – Trails and Lodge with an emphasis on the incredible birding opportunities within the surrounding 494 acres of protected cloud forest. 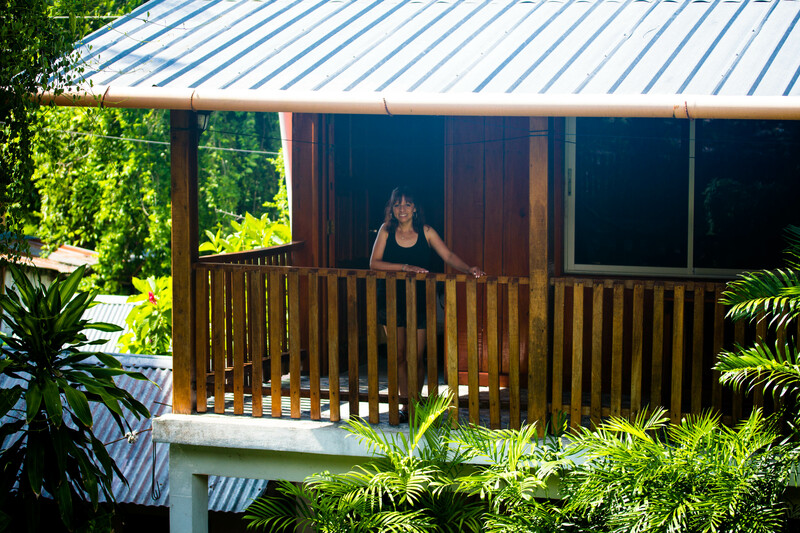 Excellent prices and wonderful service, this was the first lodge I stayed at while in Mindo – A favorite! The Garzon Jaramillo family are good and longtime friends of James’s, and it has been a pleasure for me to get to know them. I highly recommend staying at the Yellow House for a number of reasons, which I will happily elaborate on in the future (it deserves a good write up!) I’ve been here twice for long periods of time (a few weeks) once in 2011 – again in 2013. 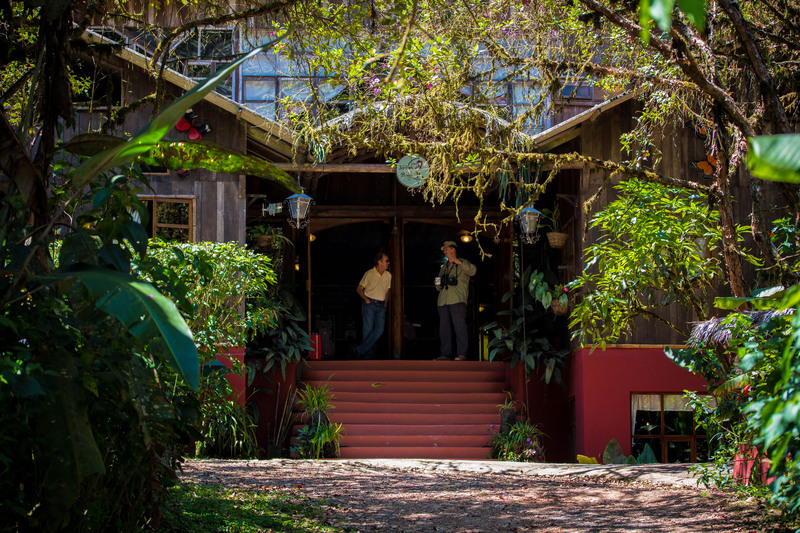 El Septimo Paraiso – This is an eco-friendly, boutique style hotel where many birders go to enjoy the expansive surroundings – 1037 acres of protected forest in all, established in 2001. Meals here are plentiful, varied and delicious! A lot of work has gone into keeping the place as green as possible, and there is lots to explore. Birds, reptiles, amphibians and mammals abound! James and I stayed there for several days in 2013, returning in 2014 for a fantastic 3 month stay. *Chelemhá Lodge – (I have not visited this lodge…yet!) 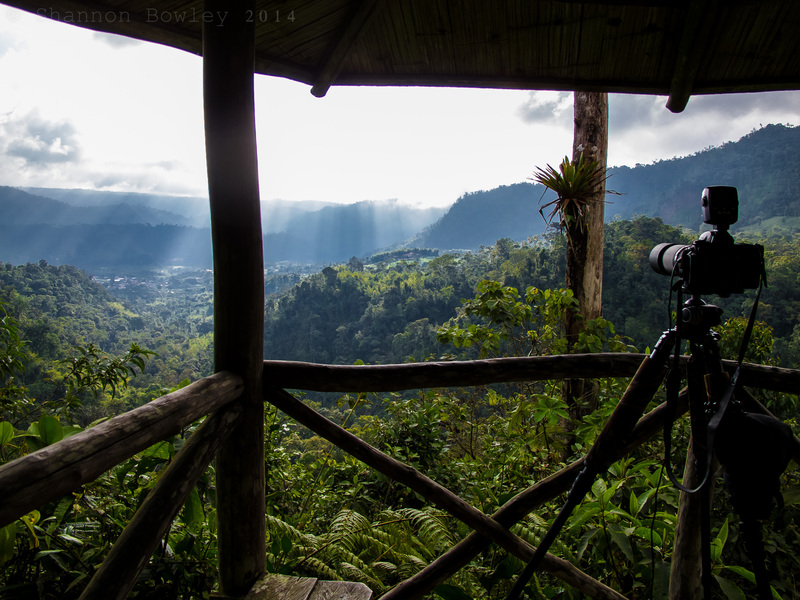 – Cloud forest reserve in the mountains of Alta Verapaz . The owners of the lodge are associated with birding guides, Knut Eisermann and Claudia Avendaño. Information regarding Guatemalan birding tours can be found at their site, Cayaya Birding. One of many cabins on the property. Hotel De La Abuela – (URL doesn’t work right now, but hopefully they will have it up again soon) This was a charming, eco-friendly hotel we found sort of randomly, late at night. 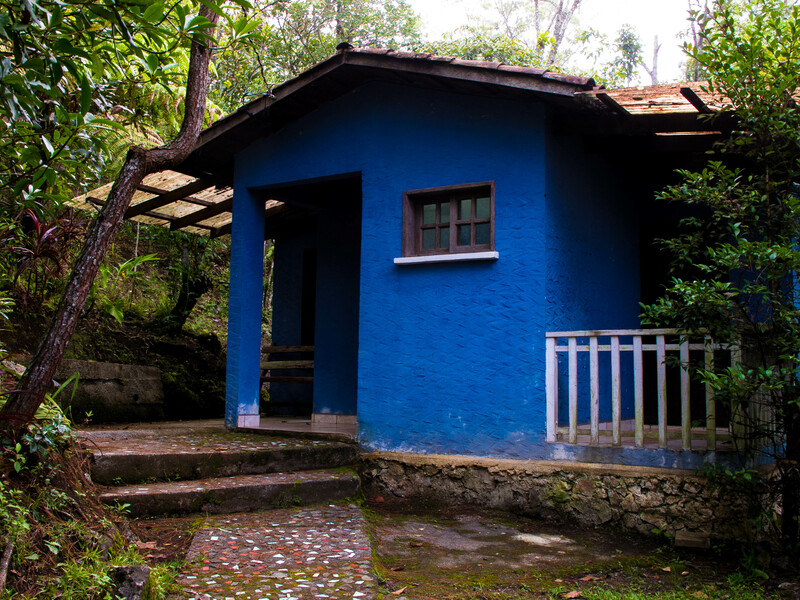 It is located in Cobán, close to a road. The property is sprinkled with bungalows, rooms connected to others, and a few larger, isolated suites. Each room was tidy and very simple, a bit spartan, but good enough. This area was rich with insects, reptiles and giant moths that live in the surrounding patches of vegetation and forest. Even though it is close to the road, since it rises above it,the whole of the property feels quite private and natural. Breakfast was memorable, there is a lookout on the main building, a part of the restaurant. The food was tasty, complimented by the lovely view. Because their website is down and very little in photos or basic information is available on the web, I am going to make this place a priority and write up a review with information provided in their brochure. A happy guest (My Mom) in front of one of the rooms on the upper floor. Las Gardenias Hotel & Restaurant – I hope to stay at this hotel again in the future. Petén is a hot and humid region, and this affordable establishment was paradise after a long road trip on the way to Tikal. We didn’t get to stay there for long, but the place provided all the essentials. Clean, air conditioned rooms and overall, a nice structure that felt quite safe. The restaurant was convenient, fairly priced and the food was tasty. My family and I stayed there one night in 2013. …More hotels of Guate, coming soon! MICA Biological Station to provide services to researchers, students, and tourists from around the world. La MICA is constructed, operated, and supported by the people residing near the project.” The station is run by Julie M. Ray with the help of the locals. Unfortunately, I didn’t stay at La MICA itself while in Panama (Instead, I was residing at Julie’s house in town, not far from La MICA) but the station is frequented by groups of biology students and others with a passion for exploring Panamanian flora ans fauna. I spent time with such groups and they were frequently finding quite the diversity of wildlife there. I plan on returning to El Copé and staying there for a while!